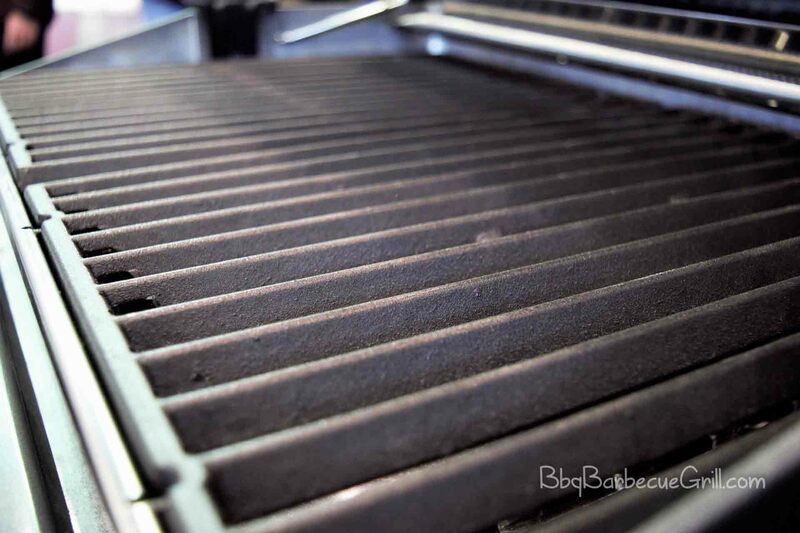 Home » Other » Electric Grill vs Grill Pan: Which is Right for You? Have you been thinking about grilling some meat, but you’re not sure what your choices are? If you’re grilling indoors, you’ll want to consider a grill pan or an electric grill. The benefits of electric grill are plenty, but you may also want to learn how to use a non-stick grill pan if you’re cooking for more than two. That’s why it’s important to learn about the benefits of a grill pan as well as the electric grill. Both options will cook your meat relatively quickly, and can offer up an amazing dinner that’s very close to the real thing we cook in the great outdoors. When people think of an electric grill, they often think of the George Foreman grill, and that’s really the first electric grill that went mainstream. Today, there are large and small electric grills. Some of them are portable and battery-powered. Most of them have pans that create divots similar to those that char meat on the grill. The biggest complaint about the electric grill is that there’s no smoky taste in the final product. An electric grill can cook up a lot of good things, but you’ll never be able to create a large breakfast buffet using it. Smoked food doesn’t exist with it, either. Stick to practical grilling, such as hot sandwiches, a few slabs of steak or salmon, and veggies like artichokes or slices of cucumbers. Electric grills that are larger can accommodate a decent size party, but they will never function exactly the same as a grill because of their heat source. Electric grills have changed the way many people, young and old alike, cook their meals. 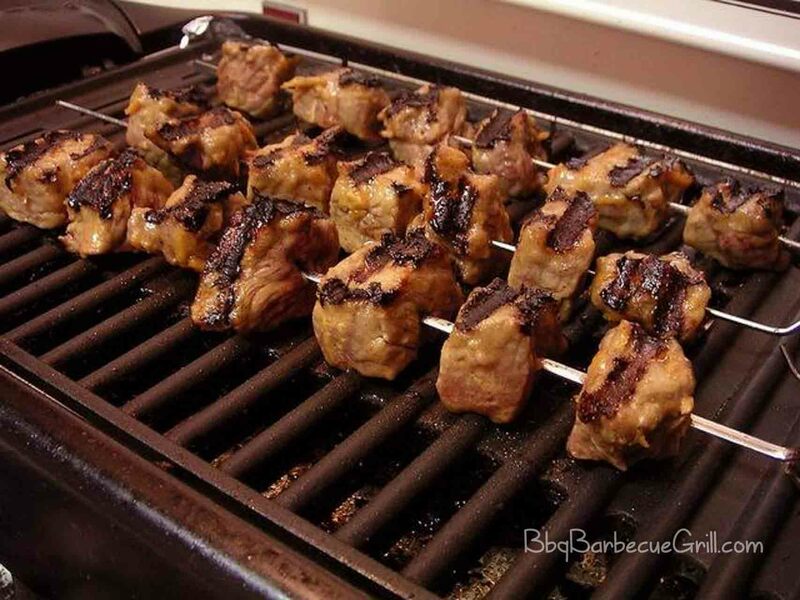 An electric grill can cook dinner quickly, cutting out much of the fat and the oil. It’s perfect for when you’re eating alone, or want a dinner for two. Electric grills also guarantee even heat distribution, making it easy to time you’re food. There’s less fire risk because of the electric grill. One of the greatest uses of the electric grill is for partygoers – you can take it anywhere. Typically small and portable, some electric grills even are battery-powered. A grill pan is a cast-iron pan that fits over gas stove burners, allowing you to simulate the experience of grilling outside. This transforms your stove into a grilling machine, giving you plenty of room to cook more than one dinner item at once. You can cook a lot of things up on a grill pan. If you’re wondering how to use a grill pan on stovetop, you’ve come to the right place. Any chef will tell you that iron grill pans are wonderful for almost anything that needs to be cooked at a high temperature. They’re great for cooking an entire meal in one cooking session. Or, if you are cooking for a large party, take your finished product and put it inside the oven, inside another cast iron pan, set it on low heat to keep it warm. In a well-seasoned pan, you can cook meat at high flame for a couple of minutes to get the pan very hot without adding fatty oils. If you prefer the taste of oil, go for avocado oil or olive oil instead. These oils contain Omega 3’s that are good for fighting heart disease. If you choose to use oil, you will apply it to the food you are cooking, not the grilling pan itself. Be careful to just use a bit because there could be a lot of splash in a grilling pan. Be very careful because cast iron gets very hot very quickly. Another benefit to electric grills is that the meals you cook will be much healthier but will also be just as delicious. The grease cooks off, and some grills have sloped surfaces so that all the accumulated drain into a tray. This is meant for easy clean up. These grills aren’t the same as an outdoor gas or charcoal grill. The biggest difference is that you are not cooking with an open flame, so the finished product isn’t exactly the same. However, it is pretty darn similar, especially when cooking the items mentioned above. Grill pans do have an open flame beneath them, and they can get really hot. 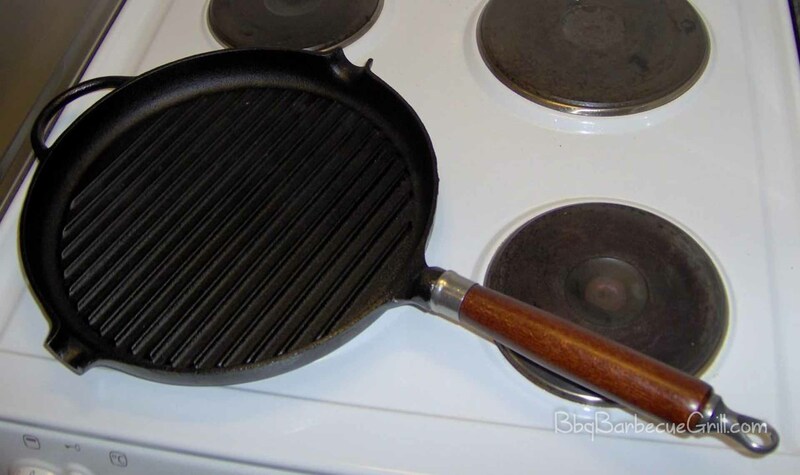 If the pan has a grilling pattern on it, you may have trouble tasting the difference. The presentation and end result is very close to the real thing. 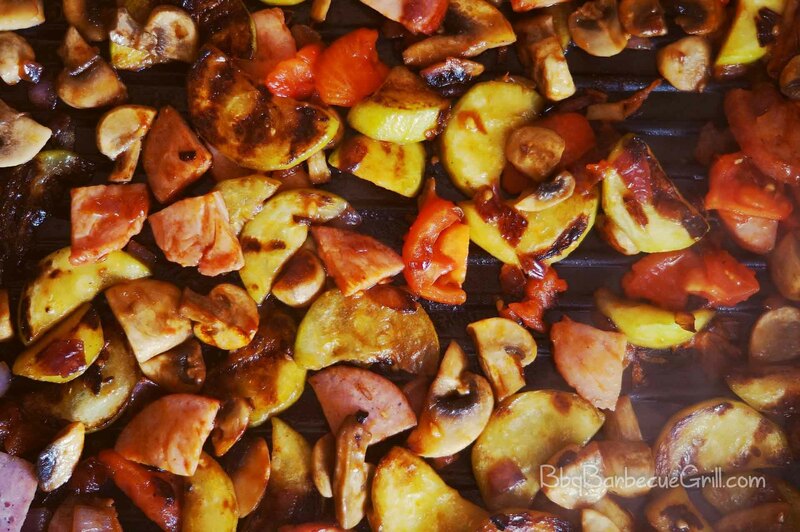 An indoor grill pan is a great alternative to outdoor grilling. They are a quick and easy way to cook breakfast, lunch and dinner without having to prepare and clean a commercial grill. Grill pan uses will vary depending on your lifestyle. You can cook a lot of things up on a grill pan. Cooking breakfast all at once – such as bacon, eggs, is a traditional use that your family will appreciate. There are a ton of healthy breakfast options to try. Grill cheese sandwiches are always loved, too. Just remember: there’s nothing better to throw on the grill than steak, and a grill pan can do it perfectly. To sum it up: There are many pros and cons to using the electric grill as well as a grill pan. Meany meat lovers will go ahead and try both- they’re relatively affordable and easy to use. If you’re a grill master who wants to find a way to cook outside of the summer months, especially indoors, save up to money to try them both. You’ll find they both fill different needs and they’re a lot of fun to cook with. And they’re healthy, too! So the question is, can a grill pan—you know, those heavy pans with the deep ridges inside them—serve as a suitable substitute? Yes under these specific circumstances it’s a pretty good option. ← What’s the Difference Between a Griddle and a Grill?